I was not a typical kid when it came to eating – I LOVED my vegetables! I would turn my nose up at the sight of steak, I would pick apart my pork chops and would utterly refuse to eat sausage. As I got older, I got a little less picky but would always take something green over a piece of meat. I was never a huge milk drinker, either – the only time you could find me with a glass would be if there was a stack of Oreos with it. Cheese, however, was my weakness! It was for that reason that I decided to give up all cheese products for Lent in 2011. I’m not particularly religious, but I decided to participate as a practice in self control and as a show of support for my boyfriend who also gave something up. I did well with it, but was ready to go back to eating cheese when the time was up. I went back to my old diet, but started to notice that certain foods were bothering me. It wasn’t until I had a big bowl of cereal with a large amount of whole milk in it, and my body’s reaction that followed, that I realized the dairy products were the ones bothering me. After doing some reading online, I diagnosed myself with an intolerance to lactose. I’m not a huge fan of going to the doctor, so I decided to cut the dairy out of my diet to test my theory and my symptoms went away. Since then, I have been sticking with almond milk instead of regular, and much smaller amounts of cheese (it has a lower lactose level than milk). Though I personally did not go, I would recommend getting formally diagnosed by a doctor if you are experiencing any sort of reaction to dairy or other food products. About a month and a half ago, I started to notice the same sorts of symptoms that I had with the milk when I ate things like yogurt and cheese, as well as my beloved drinks from Starbucks that have syrups with a dairy base. When I removed those things from my diet, the symptoms went away again, leading me to believe that my intolerance has worsened. I know, I know – it’s on my ever growing to-do list to see a doctor! I swear the cheese aisle calls to me when I walk through the grocery store, but I’ve had to cut it out of my diet for my health’s sake. When Lent rolled around again this year, I decided that I was going to try cutting beef, pork, and chicken out of my diet and become a pescetarian. 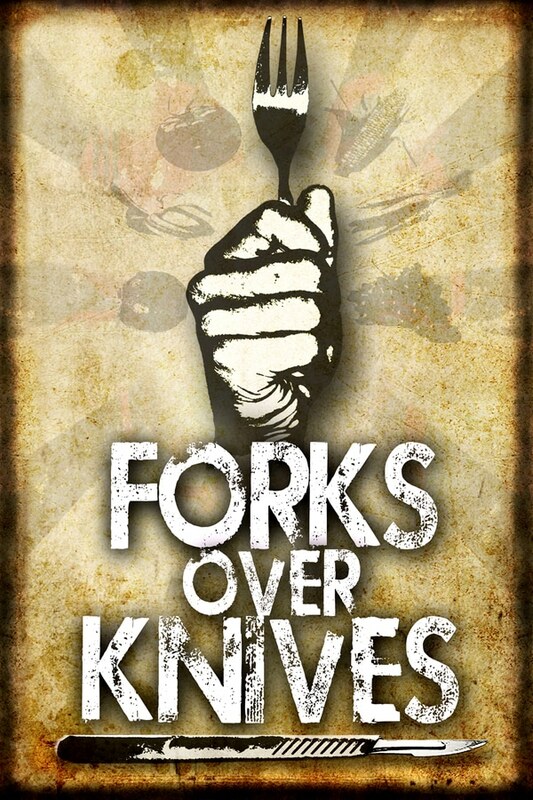 Just a couple of days before the start of Lent, my boyfriend and I sat down to watch the documentary “Forks Over Knives” on the recommendation of a friend. This documentary “examines the profound claim that most, if not all, of the degenerative diseases that afflict us can be controlled, or even reversed, by rejecting animal-based and processed foods.” Some of the findings shared in the documentary (I will write a more in depth post about it later) scared the %$@# out of me and helped me to realize that I made the right decision in cutting out meat. In fact, it helped me to realize that the decision was just a stepping stone to a more permanent change. Since then, I have stuck true to my word, cutting out all meat products and only having fish twice. I have also been making a conscious effort to cut out ALL animal products, including items that contain milk, eggs and all cheeses. I have not been perfect in this area (I used a little bit of butter to cook with), but I am aware of where I can improve. I am happy with my choice to move towards this type of diet and I have been enjoying myself immensely when finding recipes and planning my meals. I am excited to document my journey here – my ups and downs, my great finds, my inspirations. I would love any advice and input you can offer, and look forward to engaging with new people!